Back before the days of advanced task management apps, I rocked a Franklin Covey 7 Habits of Highly Effective People planner. It had everything. Insert pages for contact information (before we kept that all in our phones), daily layouts for schedules and to-do items, and a section in the back for values planning and writing out my personal mission statement. Task tracking for me is significantly easier on a device, since I can see what I have to do (and check it off) from just about anywhere. But hashing out the bigger picture life stuff doesn’t seem to quite fit in OmniFocus or 2Do. So for long-range planning and goal setting, I’ve gone back to paper. Much like its counterpart, the Webbie has a hard and smooth leatherette cover. I’m not in love with the cover, but I’ve grown accustomed to it and it is fine. 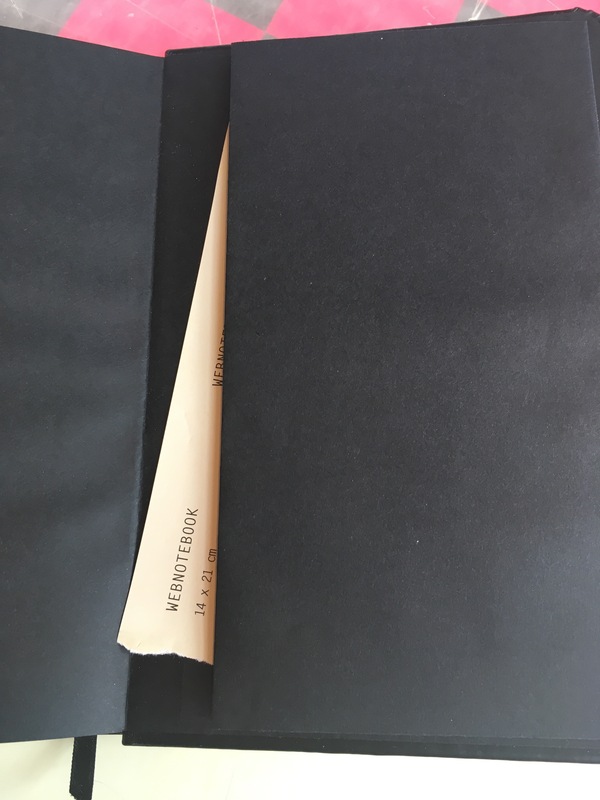 The notebook is bound shut with an elastic wrap-around strap. 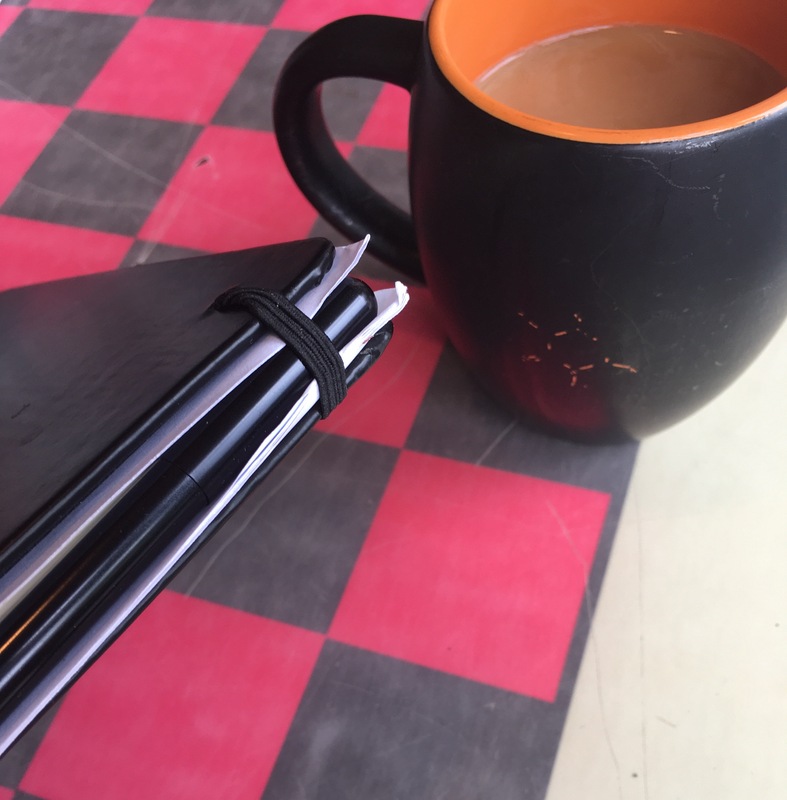 This offers a nice way to store a pen with the notebook, in fact. There’s an expandable back pocket, so you can keep papers, receipts, photos, etc. with the Webbie. An 8.5” x 11” piece of paper, folded in half, just barely fits inside the notebook, though its edges come out a bit. No matter—this is not a notebook with U.S. dimensions! It’s A5, which is as tall as the Moleskine, but wider, which I find more natural for extended writing. It does remarkably well with a fountain pen. The smooth paper feels wonderful, and provides no feathering or bleeding of ink. For that matter, there’s hardly any show-through. My one complaint about the Webbie (besides the fact that my text editor keeps wanting to auto-correct it to Rhoda Debbie) is that the ribbon marker feels too short. It just barely extends out of the notebook, about an inch or less. 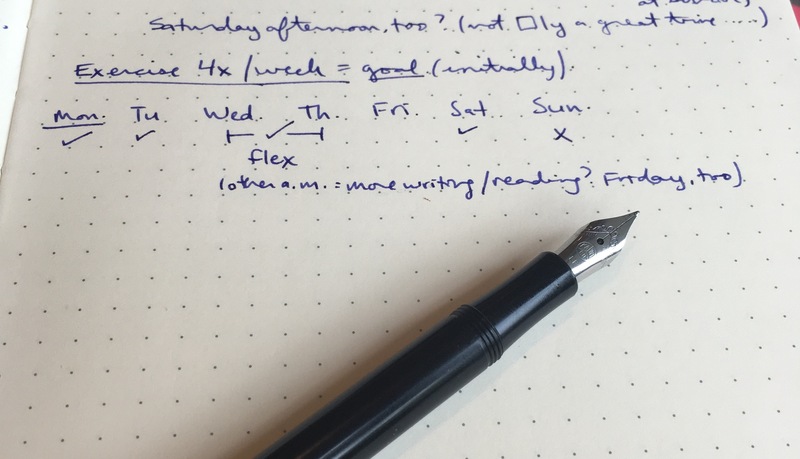 Other than that, the Webbie is as good an all-purpose notebook as I’ve written in. And it’s working great for me to replace the role those 7 Habits planning pages once played. 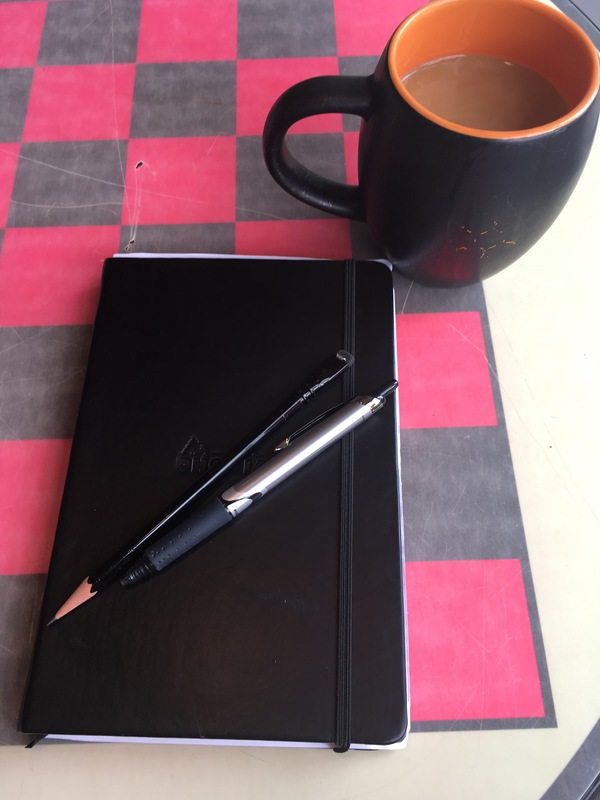 There’s plenty of room on a page to do some serious writing, note-taking, brainstorming, or drawing, but the size still makes it portable enough to go anywhere. 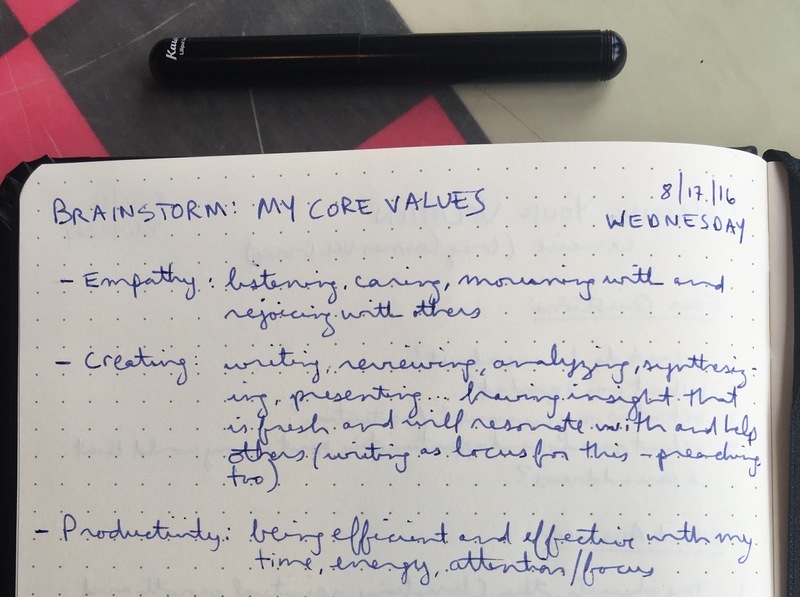 In terms of specs, look, feel, and quality, the LEUCHTTURM1917 notebook is quite similar, though the Webbie is a bit slimmer and has slightly fewer pages. With 192 pages of paper (96 sheets), the Webbie ought to last its users for at least a couple months before they need a new one. You can find the Webbie here or here. Thanks to the kind folks at Rhodia for the notebook for review, provided without any expectation as to the content of my write-up. What kind of pen is that in the first picture? It’s a Pilot Precise V5 RT Retractable Rolling Ball Pen (Extra Fine).